April 14, 2014 April 21, 2015 / Julie Brook, Esq. The following is a guest blog post by Maggie LaBranch, a solo practitioner located in San Jose, California. Her passion in law shines in making personal connections and building relationships in her family law and trusts and estates practice. The case of the New Jersey teenager who left home and then sued her parents for payment of continuing private high school tuition, living expenses, and future college costs put fear into parents nationwide. Even the judge noted the “potentially slippery slope” involved in the 18-year-old teen’s case, which she ultimately dropped. But it brings up the related issue of parental obligations for the education and living expenses of their older teens in the context of separation and divorce. What are these obligations under California law? In addition to regular monthly child support, California courts are required to order childcare costs incurred while a parent is working or searching for work and costs for uninsured medical expenses. Fam C §4062(a). The court also has the discretion to order, as additional child support, costs related to educational needs, other special needs of the child, and travel expenses for visitation. Fam C §4062(b). that each parent has the ability to pay the requested expenses. When it comes to payment of private school tuition, these child support laws mean that the court generally can’t order the parents to pay for it. In fact, the California legislature has determined that parents have met their obligation to educate their child by enrolling him or her in public school. But there’s an exception: if the parents have set a precedent to pay for private education, the court may order the parent to continue to pay for it. However, given the financial impact of separation, the parents must show that each parent has the present ability to pay private school tuition if they’re requesting it as part of their dissolution. By contrast, parents don’t have any legal obligation to pay for their child’s college education. Once a child reaches the age of 18 and graduates from high school, the parents’ legal obligation to support their child ends as far as California law is concerned. Of course, a parent may feel an ethical obligation to pay for college, but this can’t be backed up with a court order. But just because there’s no legally imposed obligation doesn’t mean a parent can’t be contractually obligated. If the parents have agreed to pay for private school education, college tuition/expenses, or any other expenses above and beyond child support, either in a stipulation or as part of a marital settlement agreement or judgment, the parties have entered a legally binding contract. Assuming the parents entered in the contract/stipulation freely, voluntarily, and knowingly, the court will likely enforce its terms, particularly if each parent was represented by counsel at the time of the agreement. If the NJ teen’s case had come up in California and was raised by one separated or divorced parent against the other, it’s likely that the court would have granted the continuing payments for private high school tuition, but denied the request for college tuition and living expenses. Does this seem right to you? 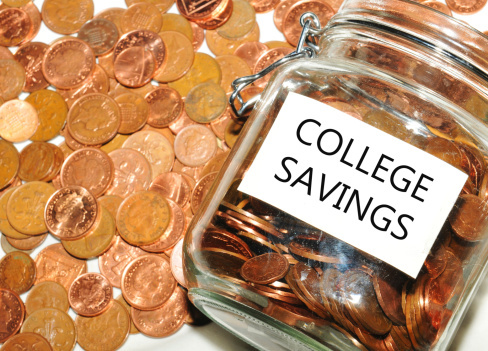 Should parents have to pay for college, or do you agree with California’s approach? Learn about the court’s authority to order payment of child support in CEB’s California Child and Spousal Support: Establishing, Modifying, and Enforcing, chapter 1. For information on contractually obligating a parent to pay for a child’s education expenses, check out CEB’s California Marital Settlement and Other Family Law Agreements. And child support is one of the many topics covered in CEB’s The Basics: Family Law, a comprehensive grounding in the fundamentals of family law practice. Yes, if their children is worthy of going to college. Certainly it is their duty to pay for their college.